Sorting LinesBrødbæk & Co. offers a wide range of box & tray sorting systems for various applications - from simple sorting according to length and thickness to complete 3D board measuring for length, width, thickness and edge quality sorting.Tray sorting is primarily used when the raw material is sorted logs. Each sorting tray contains more than the volume of one wood pack. It is possible to have more than 10 trays in a system.Box sorting is used when the raw material is unsorted logs, thus a larger number of sorting allocations is required. 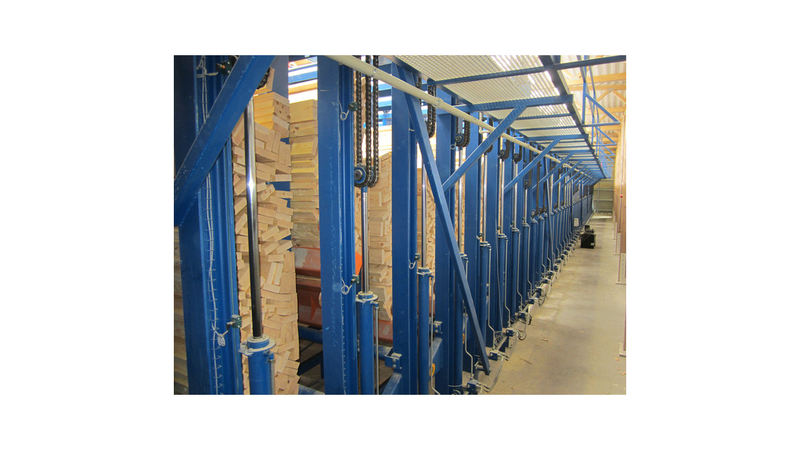 The systems are equipped with J-bars or push bars leading the timber into vertical boxes with hydraulic sinking pockets. The contents of the pockets are gently unloaded onto a chain conveyor transporting the boards towards a stacking line.Brødbæk & Co. has supplied systems of up to 50 boxes.Brødbæk & Co. has developed a wide range of flexible stacking solutions.From the basic line only including a cross chain conveyor, a board singulator and a stacking machine to sophisticated high capacity solutions for 500 boards/min. The lines often include layer cross-cutting saws to improve capacity and flexibility. Also flexible fair-ending and trimming of boards and timber add flexibility.